Sun Tamers can transform your vehicle or entire fleet into moving billboards for your business. A custom vinyl vehicle wrap is a great way to attract attention to your business and stand out from the competition. Turn your vehicles into Eye Catching, Advertising Machines!!! Vinyl vehicle wraps are high-impact and very cost effective. They work for any business, big or small. Vehicle wraps build brand recognition, reinforce brand identity and offer unmatched, cost-effective advertising. Vinyl wraps are not just for advertising. Wraps are great for changing the color and/or look of your vehicle without the added expense of a paint job. You can go from dull to outstanding in a very short time. Plus, vinyl wraps protect your original paint job. Add racing stripes or graphics to your vehicle to make it stand out from the crowd! Vinyl accents on an Fiat, with custom painted rims. Color Change on a Range Rover. First image is the before color. A black vinyl roof wrap looks amazing when combined with dark window tint! All of our Custom, Commercial Vinyl Vehicle Wraps are computer generated, printed on our own printer, cut by hand and applied by a highly trained technician for years of great looks. 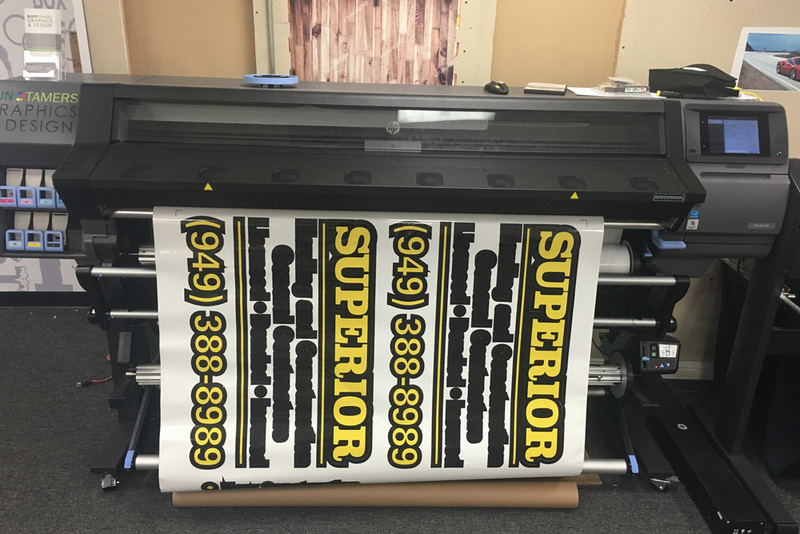 Vinyl wraps can be redesigned and reapplied as often as your advertising changes. There is no damage to the underlying paint of your vehicle. And actually, the vinyl wraps protect the paint they are applied on, prolonging the life of your vehicle’s paint job.